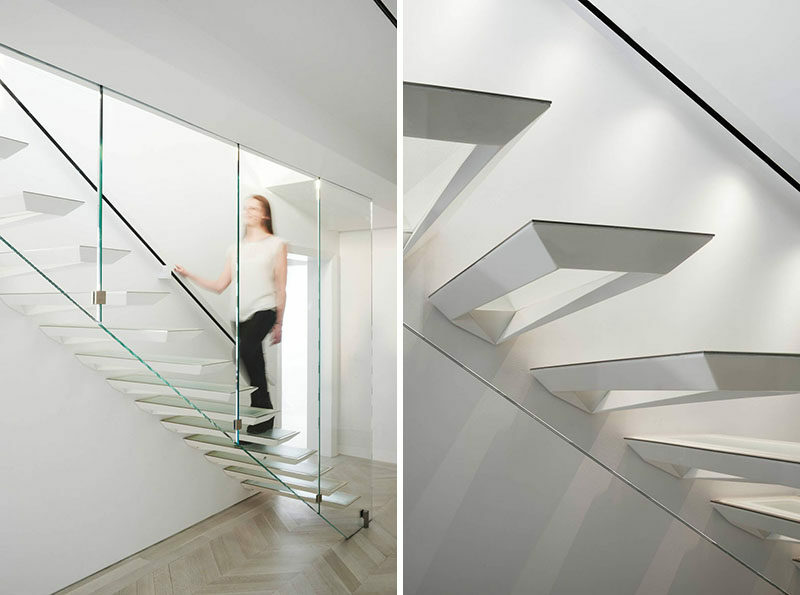 New York based firm Incorporated Architecture & Design, have designed these unique stairs for a two-floor apartment. Taking inspiration from the traditional Japanese art form of paper folding, the designers used various technological advancements like 3D modeling, 3D printing, computational geometry and digital manufacturing to create the design. The home owner, the architect, the engineer, and the craftsman/fabricator, all worked together to develop and execute the design. 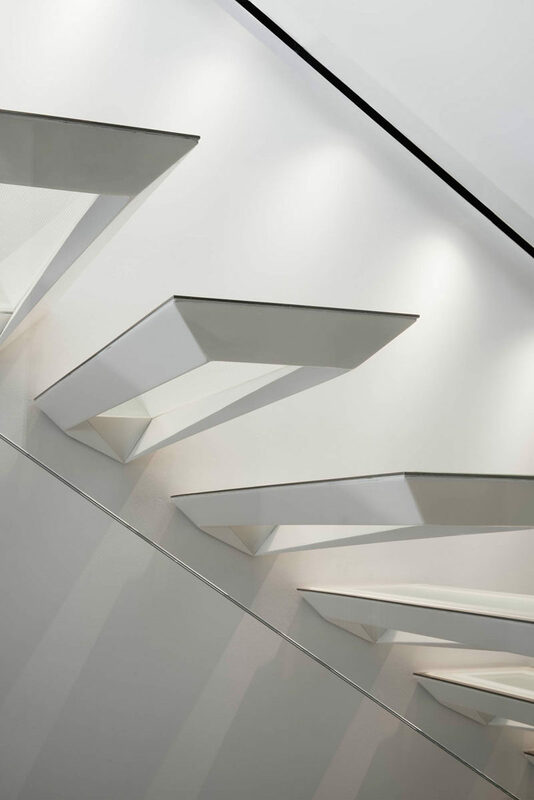 The stairs have a distinctive and creative design where the unidirectional cantilevered tread tapers to help create a ‘wing’ shape. 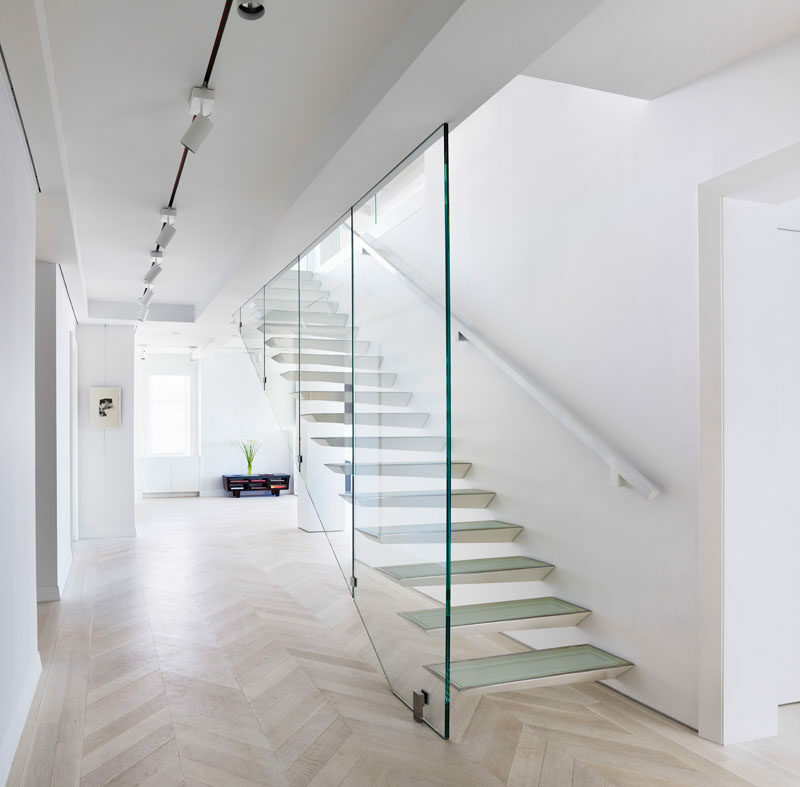 Within the stairs, a glass insert was placed into the tread, creating a unique look when the lights shine on them. In terms of the structure, a single, and ultimately concealed, stringer (a structural support that runs the length of the stairs) was delicately threaded into the existing structure of the pre-war multi-story residential home. A secondary structural system of brackets, clips and channels were then installed to anchor the structural glass screen, railings and treads. Last, the sculptural finish plaster and flooring was installed around these anchoring components and then finally the glass, rail, and treads were secured into their final positions.